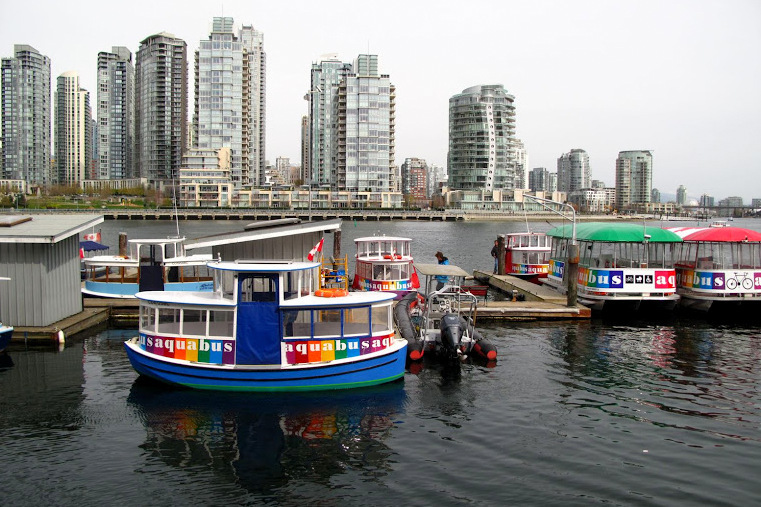 As residents of Vancouver, we’re often asked about things to see and do in Vancouver. One question we’ve been asked a lot recently is – what is the best road trip from Vancouver? It’s a great question. You have plenty of options in British Columbia. Do you go east to the Okanagan Valley or west to Vancouver Island or north to Whistler and Pemberton? 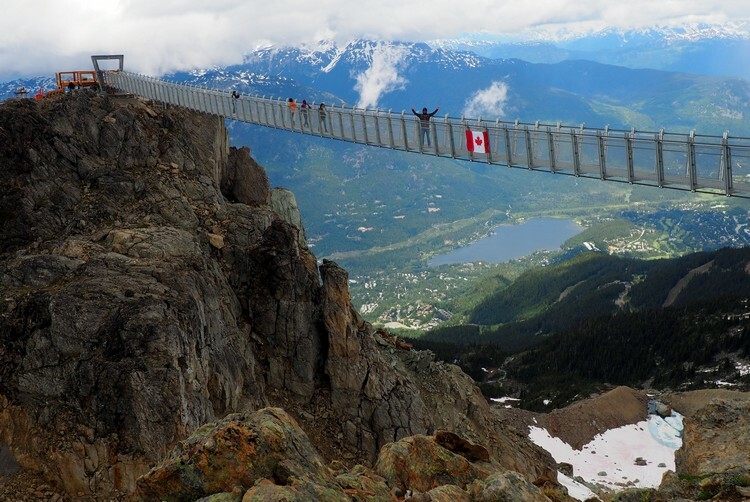 In our opinion, British Columbia is one of the best places to visit in the world. Bold statement – I know. But if you ask anyone who’s visited British Columbia, you’ll likely hear glowing reviews about it’s accessible natural beauty and endless supply of outdoor adventure. Today, we’re highlighting what we believe to be the best the road trip from Vancouver for first time visitors. We did this road trip this past summer when a good friend visited for 10 days. 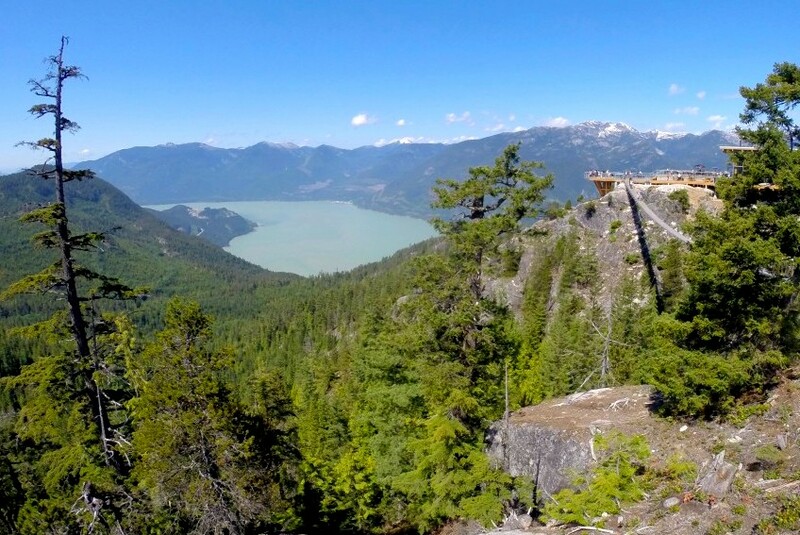 If you only have a few days in Vancouver, check out these 25 awesome day trips from Vancouver. Depending on when you arrive in Vancouver, you’ll want to spend your first two days exploring the city. There’s so much to see and do in Vancouver that two days is likely not enough time, but we want to stay within this 10 day itinerary. Add a few extras days at the end of the road trip if you have more time. 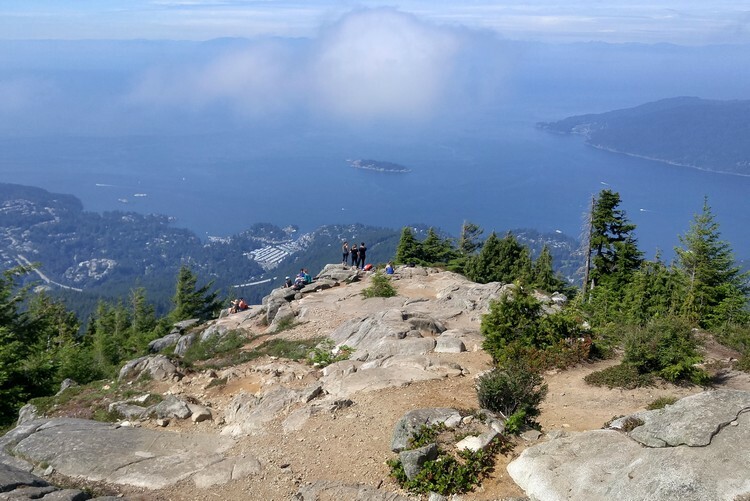 What makes Vancouver special is that it’s a vibrant cosmopolitan city surrounded by mountains AND ocean, which means there’s literally something for everyone. 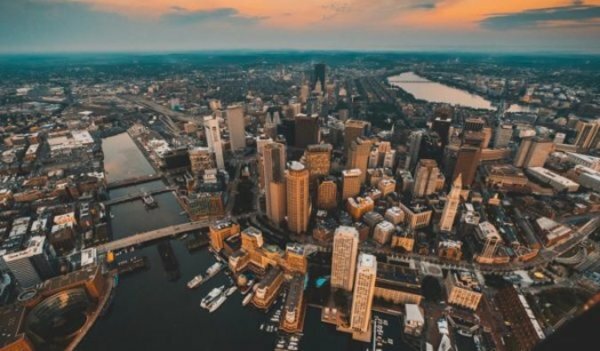 In one day, you can hike in the mountains, relax on the beach, catch a show or professional sports game, dine at a variety of upscale restaurants and finish the night at Granville’s legendary entertainment district. Get outside! 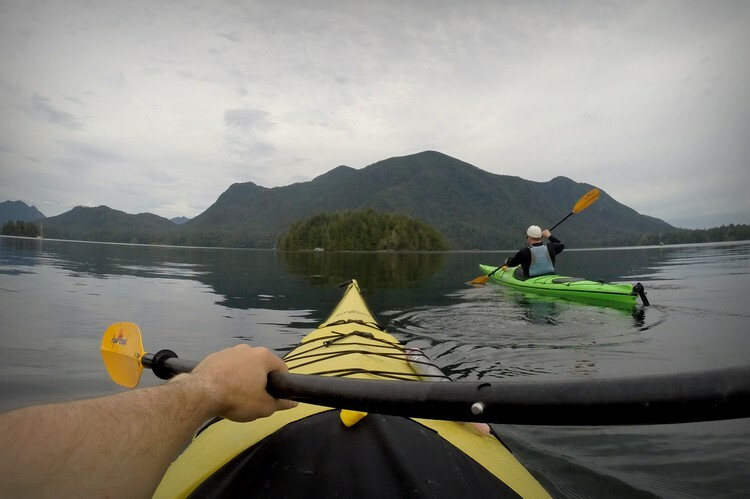 Vancouver is home to world class mountain biking, hiking trails, kayaking, whale watching, skiing and snowboarding. The road trip begins on Day 3, when you catch a morning ferry from the Tsawwassen Ferry Terminal (Vancouver) to Swartz Bay Ferry Terminal (Victoria). Check the ferry schedule here. Plan to arrive at the ferry terminal at least one hour before your departure time. It’s wise to book a reservation ahead of time, especially if you’re traveling over a holiday weekend. The ferry takes about 1.5 hours. The drive from Swartz Bay to downtown Victoria is about 30 minutes. 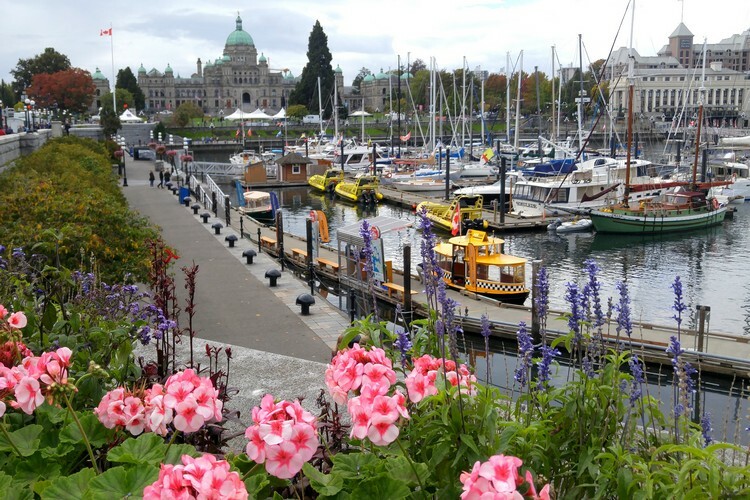 Once you’ve settled into your hotel, head to Victoria’s picturesque Inner Harbour (see photo below). There are plenty of restaurants and cafes in this area. The downtown area is very walkable. 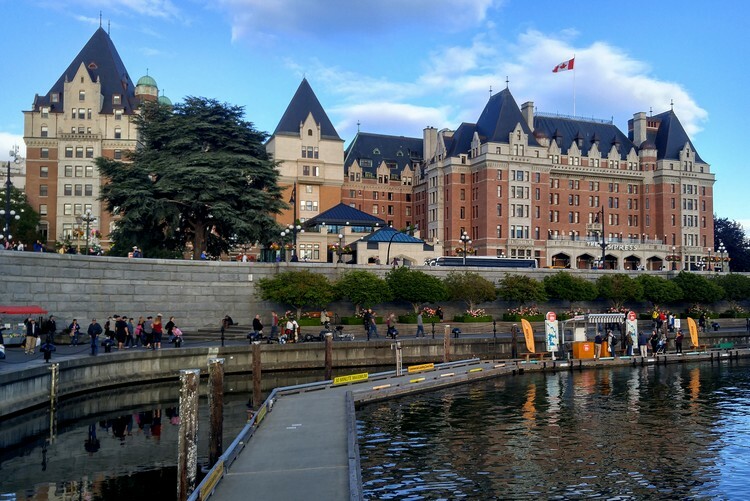 Plan to spend your evening wandering around the Inner Harbour and downtown core. There are a few places in this world that we will revisit again and again. Victoria is one of them. We love the city’s old town character and laid back vibe. Victoria is a relatively big city, but it doesn’t feel or act that way. Where to stay in Victoria? We’ve stayed at the Magnolia Hotel, Victoria Ocean Pointe Resort and Best Western Carlton Plaza and we would recommend them. They are centrally located and family friendly. Search for more Victoria hotels here. Where to eat in Victoria? You will not go hungry in Victoria. There are endless options for every type of cuisine. Being on the west coast, we’d recommend you dine at a seafood restaurant. The west coast is also known for quality sushi and Japanese cuisine. 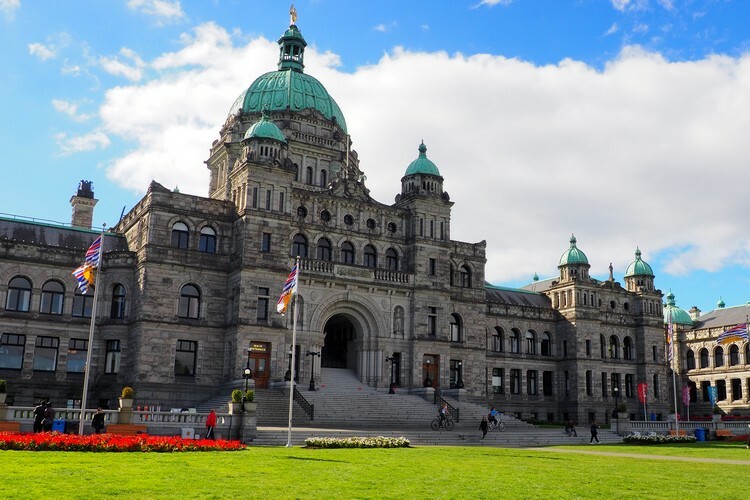 Take it easy and enjoy a late breakfast in Victoria before driving north to Parksville, a popular beach town located on the east coast of Vancouver Island. 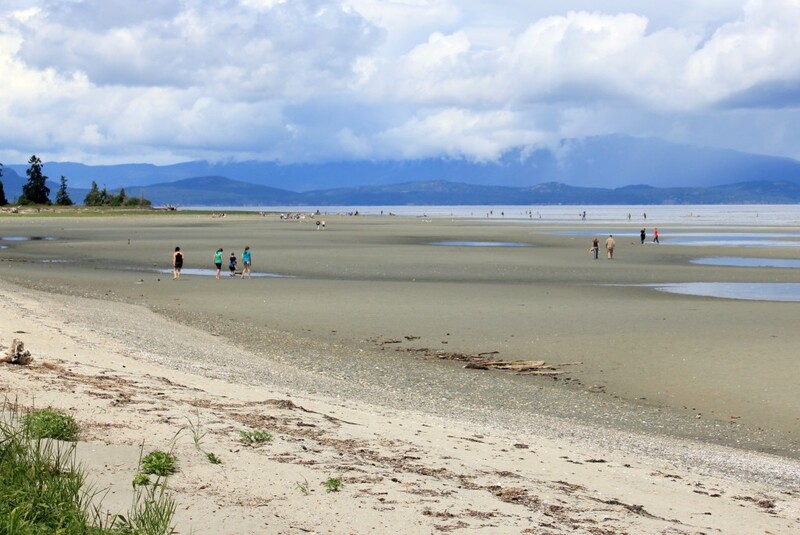 Parksville is famous for its long, sandy beaches that recede over one kilometer at low tide. The drive from Victoria to Parksville is only 2 hours. However, there are plenty of fun road trip stops that you should check out. Where to stay in Parksville? 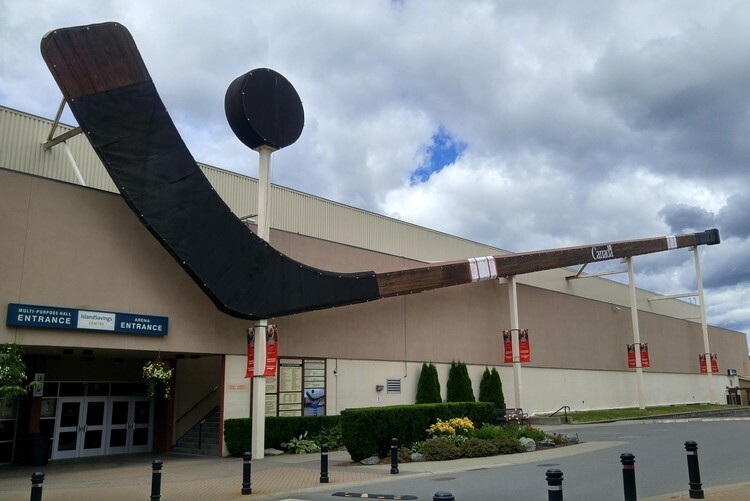 Parksville is a tourist driven town, so you have plenty of options for accommodations. If you’re looking for an upscale experience, check out the Tigh Na Mara Seaside Resort (we wrote a review about this resort here). You can stay in a private cabin or ocean view suite. For budget accommodations, check out the Travelodge by Wyndham Parksville. This is where we stayed this past summer. It’s good value. The rooms are clean and updated, it has a pool and hot tub, and breakfast is included. We’ve also stayed at the Ocean Sands Resort and would recommend it. It’s less expensive than Tigh Na Mara and it has similar ocean front views. 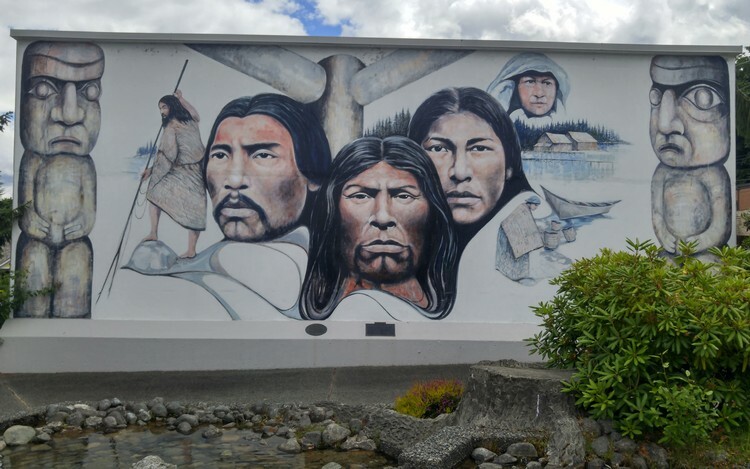 Fun Fact – Vancouver Island is the largest Pacific island east of New Zealand. 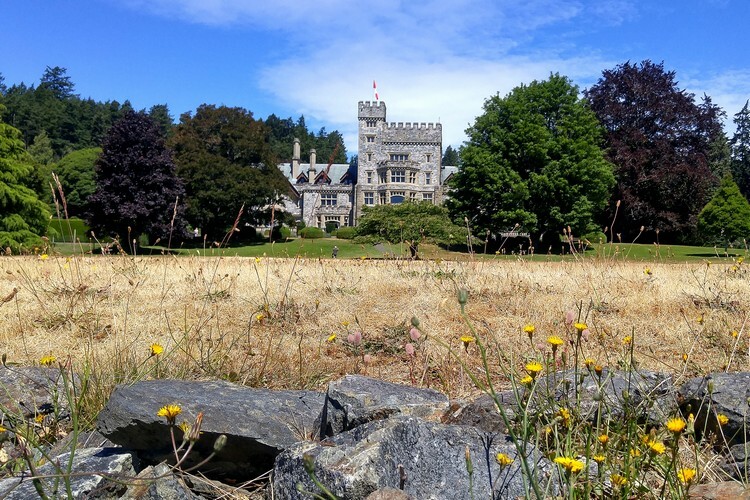 Hatley Castle at Royal Roads University. This castle is featured in the X-men and Deadpool movies. Do you follow us on Facebook? If not, let’s connect! 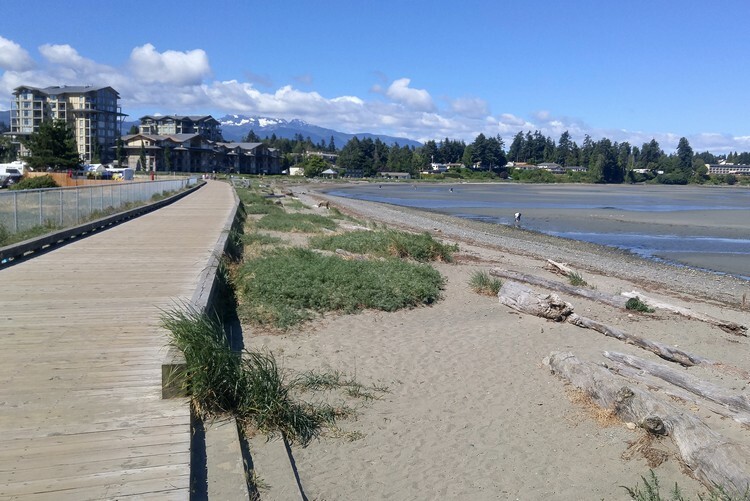 Before you hit the road, make sure you spend some time walking along the beach in Parksville. 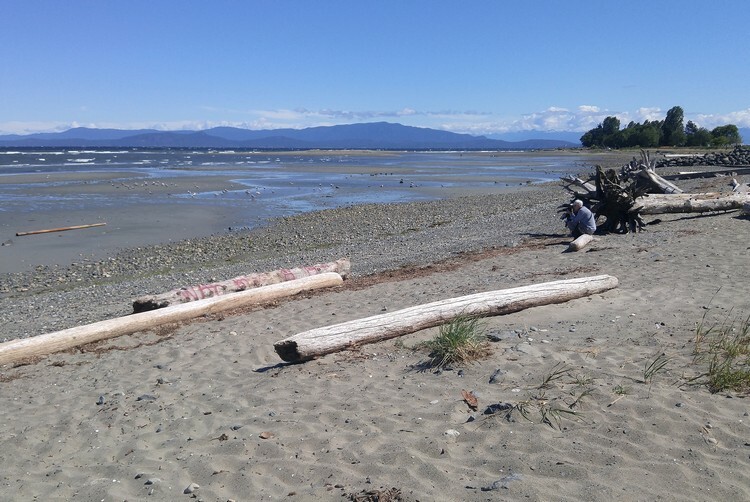 You can either visit Rathtrevor Beach Provincial Park or the beach at Parksville Community Park (pictured above). 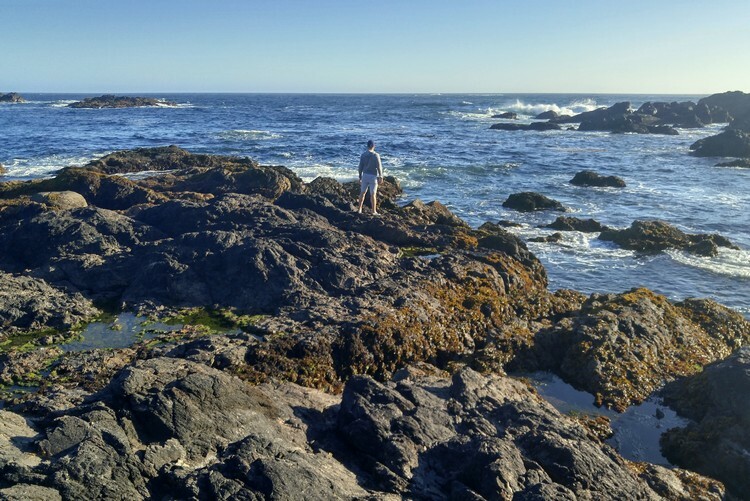 The drive from Parksville to Ucluelet takes about 2.5 hours, but you’ll want to make a few stops along the way. 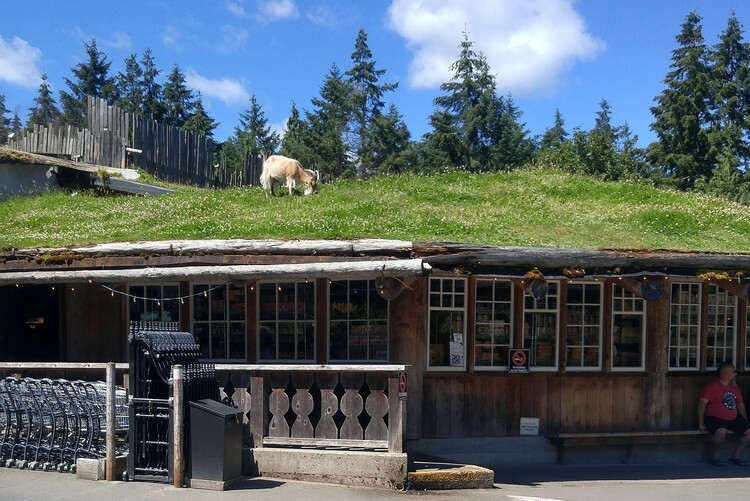 The first stop you’ll want to visit is the Coombs Old Country Market, famous for its Goats on the Roof. 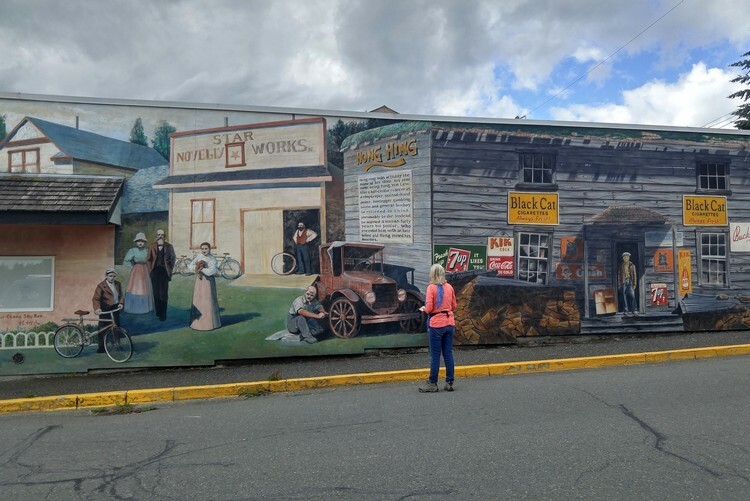 The market is located about 15 minutes west of Parksville, so it’s an ideal location for coffee or an early lunch (depending on when you leave Parksville). See photos below. After Coombs, continue west towards Little Qualicum Falls Provincial Park. This is a nice place for an easy forest hike to see waterfalls. There are 6 km of walking trails throughout the park. 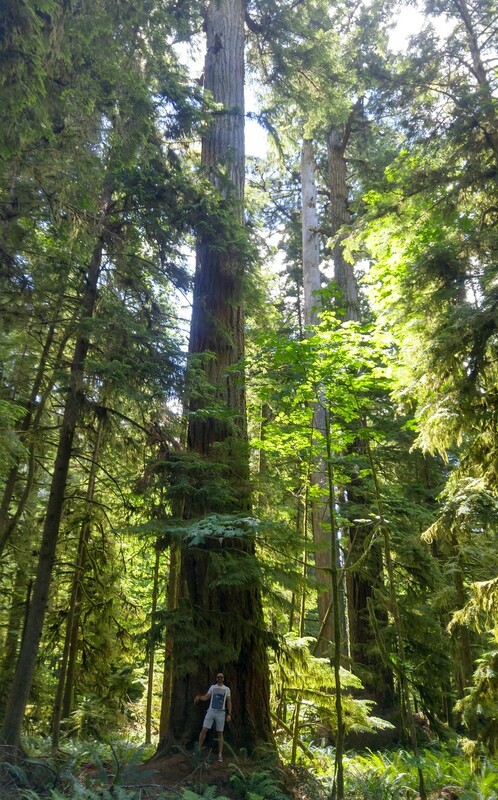 Next on the road trip is a visit to MacMillan Provincial Park, home to the ancient Douglas fir in Cathedral Grove. The highway splits the park, so you will drive right through it. There is limited parking and it can get quite busy, but don’t give up! This place is definitely worth visiting. Some of the trees are more than 800 years old and 9 metres in circumference! Plan to spend about 45 minutes here. After witnessing the incredible trees in Cathedral Grove, continue driving west to Port Alberni. This is an ideal spot to grab a quick lunch, fuel up your vehicle and restock your supplies. The drive from Port Alberni to Ucluelet is about 1.5 hours. 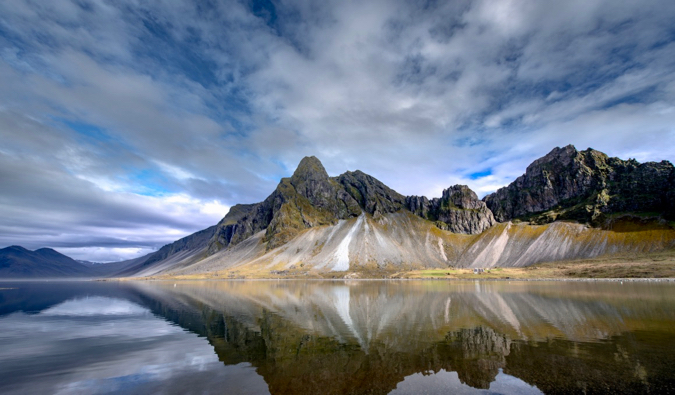 This stretch of highway is stunning, so make sure you have your camera handy. 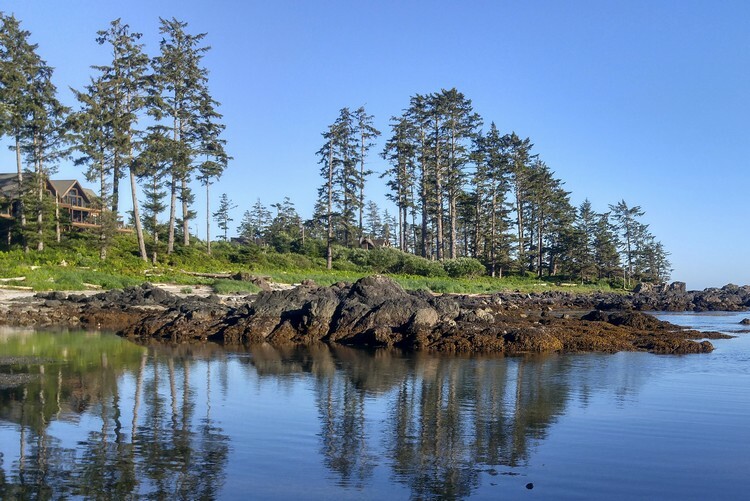 You should arrive in Ucluelet by late afternoon. 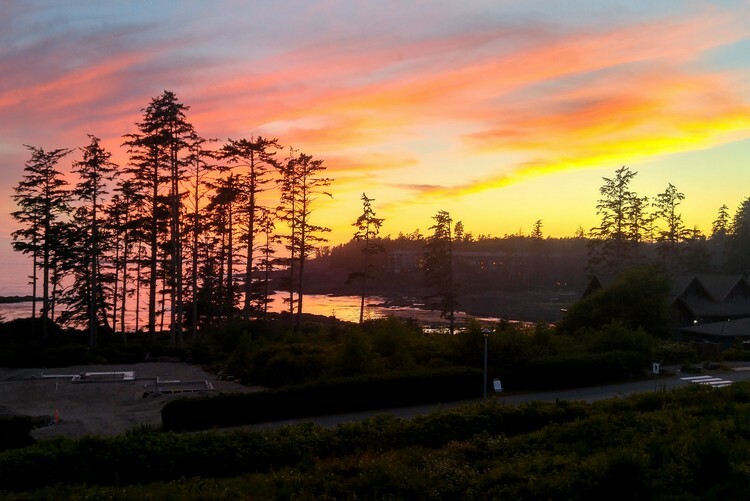 After you check-in to your accommodations, head to the ocean to watch the sunset from either Big Beach or the Wild Pacific Trail. See photo below as evidence. Fiery sunset views from Big Beach in Ucluelet. Goats on the Roof at Coombs Market in the town of Coombs. Get new posts delivered to your email inbox. One of many Douglas Fir in Cathedral Grove, MacMillian Provincial Park. 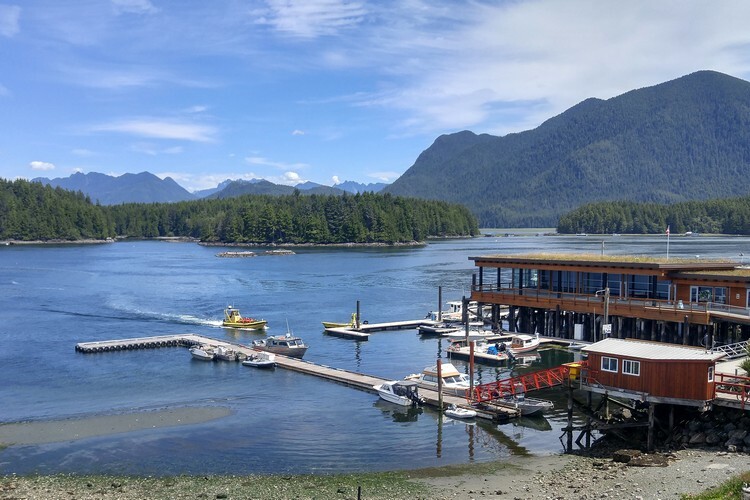 The towns of Tofino and Ucluelet are located on the northern and southern points of a peninsula that stretches along the west coast of Vancouver Island. This is where you will find Pacific Rim National Park, one of Canada’s greatest natural treasures. I’m grouping these two towns together because you should visit both, but you don’t need to switch accommodations. 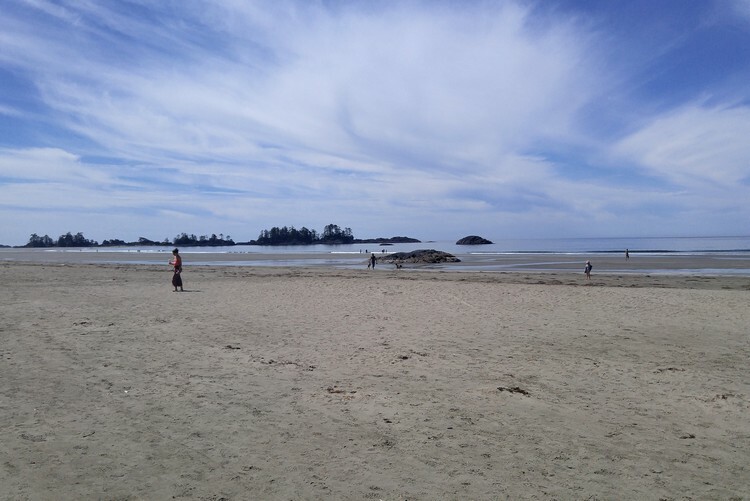 Pick a spot and stay there for 3 nights, which will give you two FULL days in Tofino and/or Ucluelet. 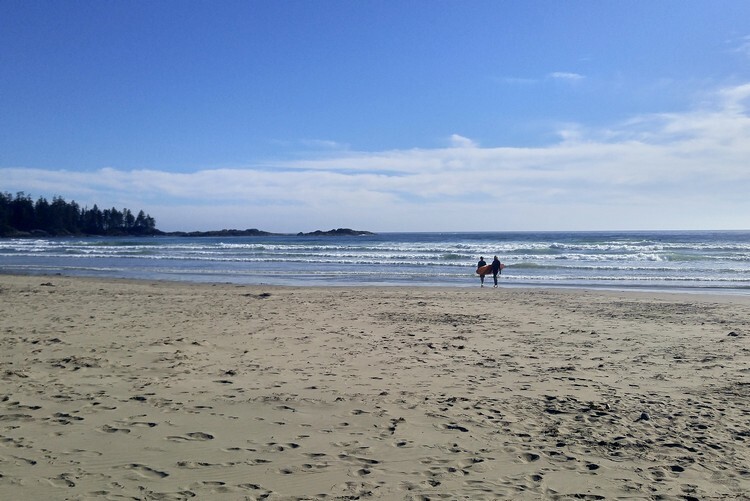 It’s about a 40 minute drive from Tofino to Ucluelet, and vice versa. 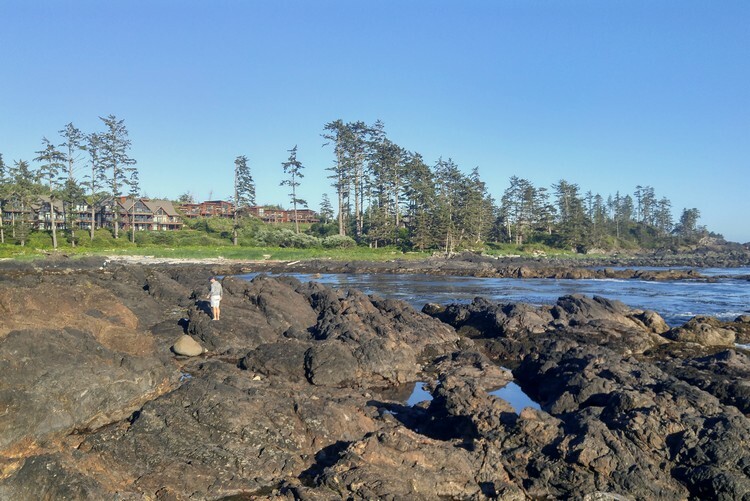 We stayed at the Big Beach BÄRN in Ucluelet and would highly recommend it. The views from the balcony are outstanding. Tell the host, Pete Raab, the Traveling Canucks sent you. For waterfront accommodations, check out Black Rock Oceanfront Resort or Snug Harbour Inn. For less expensive accommodations, check out the Canadian Princess Lodge & Marina. Best Western Tin Wis Resort on Mackenzie Beach. The restaurant here is good, too. Dinner in Tofino, visit Shelter Restaurant, Sobo Restaurant and/or 1909 Kitchen. 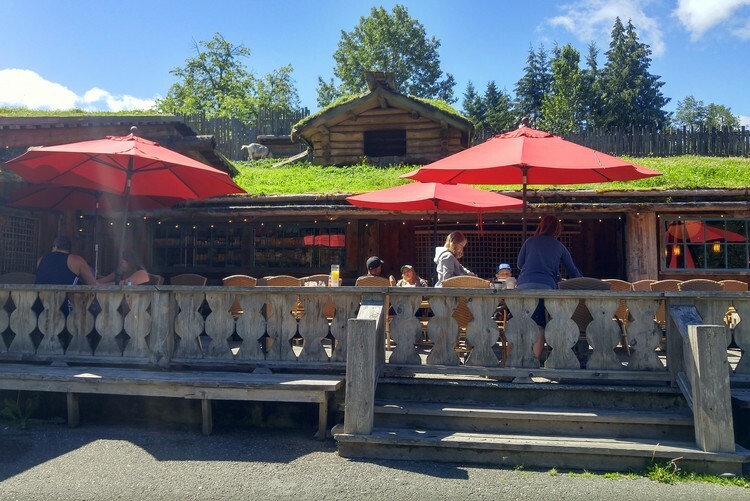 Casual eats in Tofino, visit Surfside Grill, Wolf in the Fog, Wildside Grill and/or Tacofino. Dinner in Ucluelet, visit Norwoods Restaurant or Black Rock Resort. Casual eats in Ucluelet, visit the Cedar Grill, Ukee Dogs Eatery and/or Ravenlady Oyster Forte. 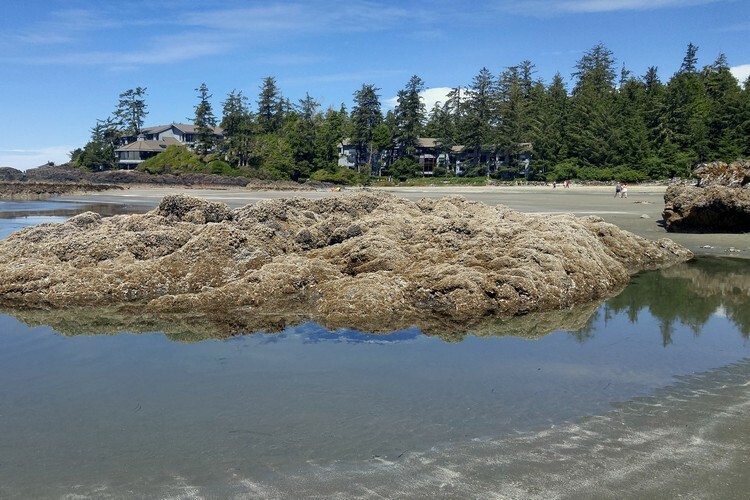 Above: Low tide at South Chesterman Beach in Tofino. Surfing at Wickaninnish Beach in Pacific Rim National Park. Your time on the coast has come to an end. It’s time to trade the sandy surf for snow-capped peaks. You’ll want to get a good start to the day and be on the road by 10:00 AM. This is the longest travel day on this 10 day road trip from Vancouver. 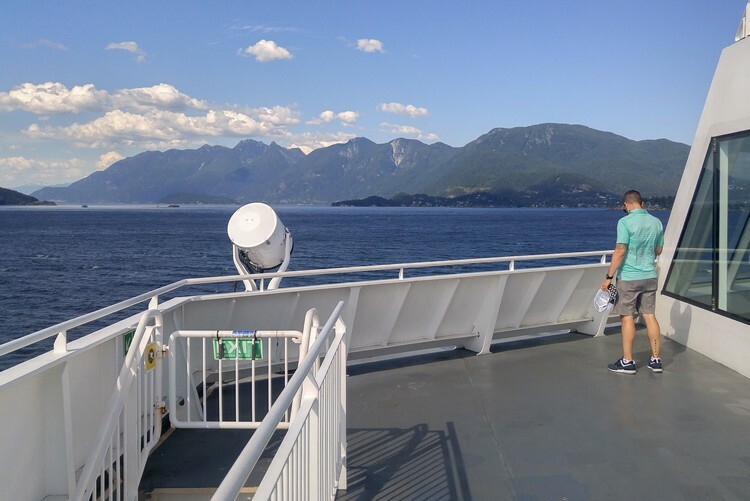 Drive from Tofino to Nanaimo and take the ferry back to the Mainland, where you will continue to Whistler. The drive from Tofino to the Nanaimo ferry terminal takes about 3 hours. There’s typically a 3:00 PM ferry that you will want to catch from Departure Bay. It’s smart to make a reservation for the ferry crossing ahead of time. Arrive at the ferry terminal at least one hour early. Check the ferry schedule here. The ferry from Departure Bay (Nanaimo) to Horseshoe Bay (Vancouver) takes about 1.5 hours. When you disembark the ferry, drive on the highway until you see a turnoff that says ‘BC Ferries’ or ‘Horseshoe Bay’. It will be about 5-7 minutes before you see the signs. You need to turnaround and head back towards the ferry terminal where you just came from. It’s a weird system. You will turn off the highway, take a left and cross the bridge across the highway, then left again so you can get back on the highway – this time you will be driving west/north, towards Whistler. Use your GPS, just in case. 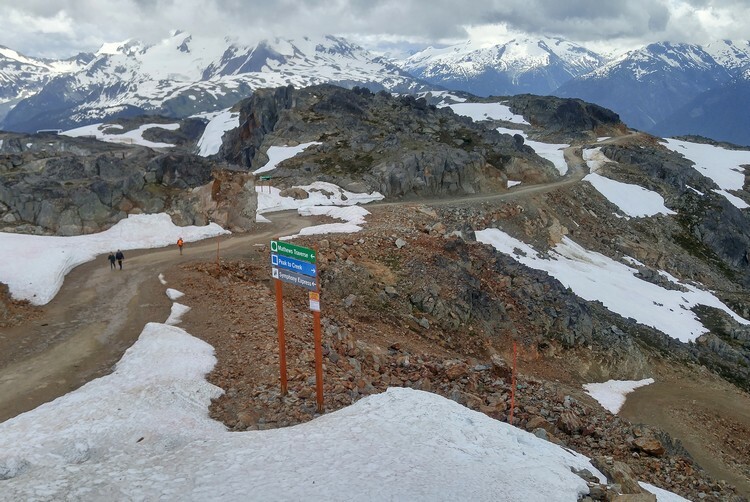 You don’t want to actually return to the ferry terminal – you want to follow the signs for Squamish and Whistler. If you’re hungry, stop in the town of Squamish for dinner. There are several restaurants and fast food joints just off the highway. The total drive time from Horseshoe Bay to Whistler is about 1.5 hours. You should arrive in Whistler around 7:00 PM. Above – on the sundeck of the BC Ferries, that’s the Coastal Mountain Range in the distance. Whistler is our happy place. We try to visit this alpine village every few months. It’s a four season resort, so there’s always something to do, regardless of the month or season. 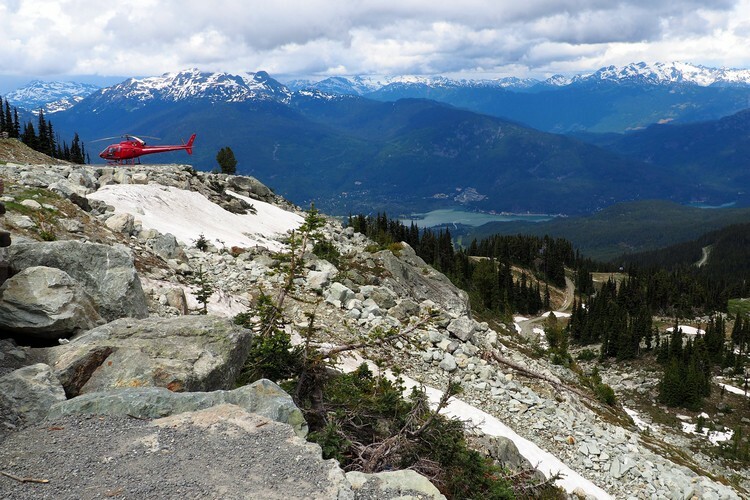 You can easily spend a week in Whistler, so you’ll have to be selective with your full day. Do you want to hike in the mountains? Kayak on a freshwater lake? Indulge in a spa day or sit on a patio and relax? 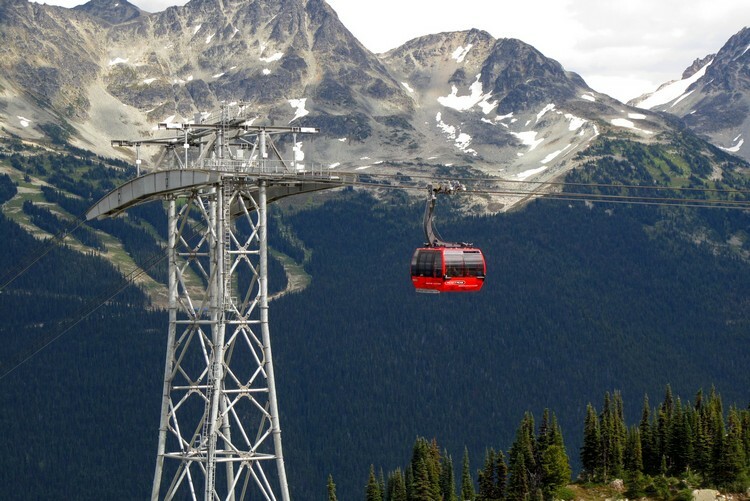 Our recommendation would be to do the Peak 2 Peak 360 Experience (gondola up the mountain, alpine hiking, suspension bridge, etc), have lunch at Christine’s On Blackcomb, then back to your hotel for soak in the hot tub or pool, then head to Whistler Village and find a patio for dinner. Take the Peak 2 Peak 360 Experience – read more here. This is a fun summer activity. Give yourself at least 3 to 4 hours for this experience. For an upscale experience, stay at the iconic Fairmont Chateau Whistler, Sundial Boutique Hotel or Four Seasons Resort Whistler. 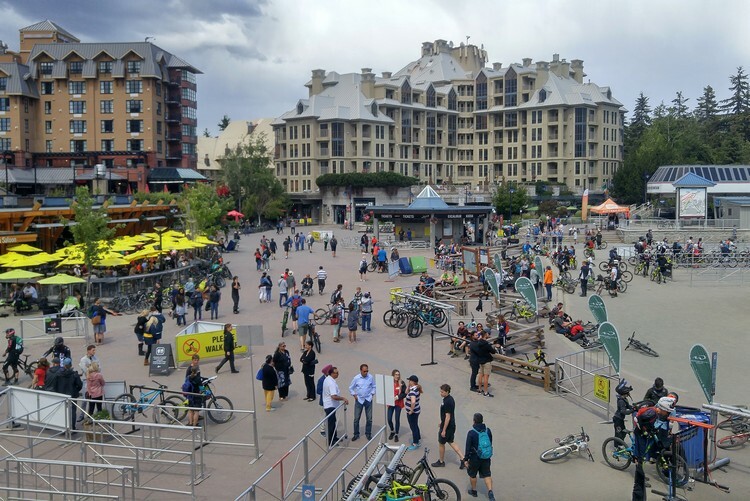 For accommodations in the heart of Whistler Village, check out the Pan Pacific Whistler Village, Crystal Lodge and Suites or The Westin Resort. 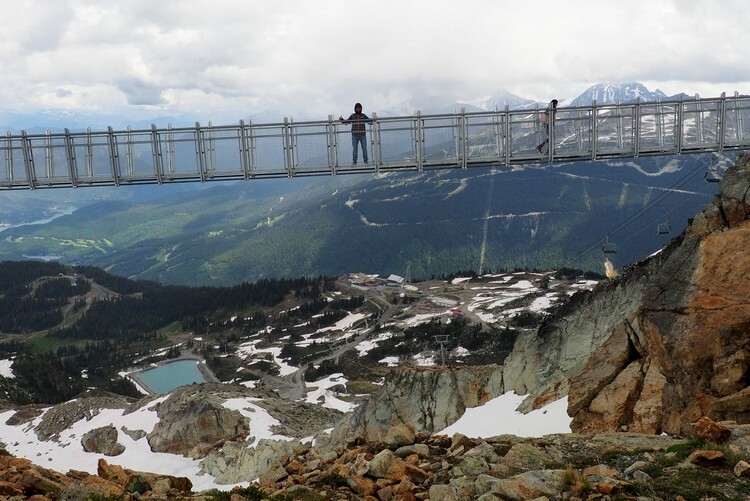 Above: Walking across the new suspension bridge on Whistler Mountain. 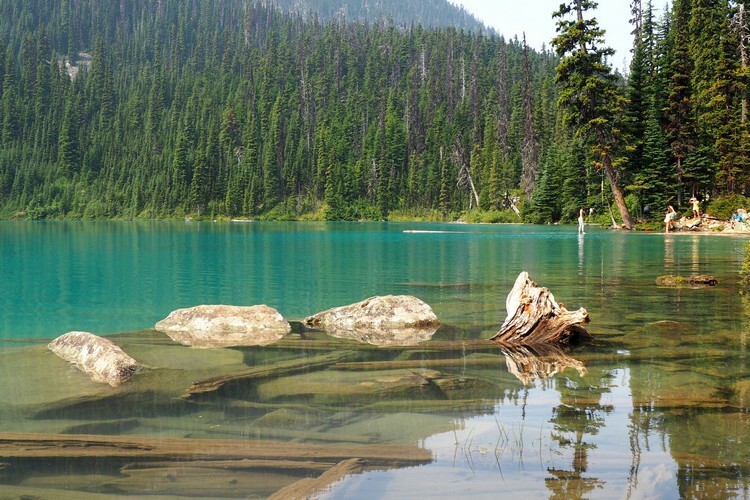 Above: Joffre Lakes Provincial Park, located about an hour north of Whistler. After one final soak in the hot tub and a delicious brunch in the Village, pack up your car and drive south to Vancouver. This is the final day of your epic British Columbia road trip. If you are flying home this day, plan for delays on the drive to the airport as traffic in Vancouver can be quite heavy. The drive time from Whistler to Vancouver is about 2 hours, but you’ll want to make a few stops along the way. 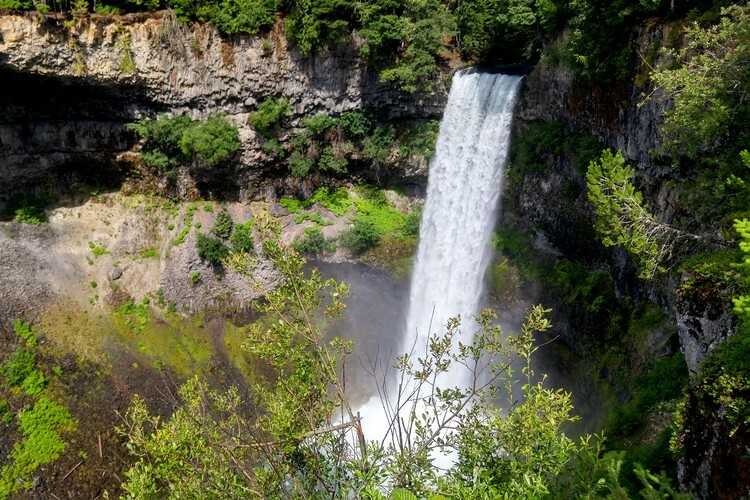 About 15 minutes south of Whistler is Brandywine Falls Provincial Park. See photo below. Keep an eye out for the signs, you might miss the turnoff if you’re not paying attention. To see the waterfall, you will walk through a nice forest trail for about 15 minutes. Plan to spend about 45 minutes here. The next stop is Shannon Falls Provincial Park and the Sea to Sky Gondola in Squamish. 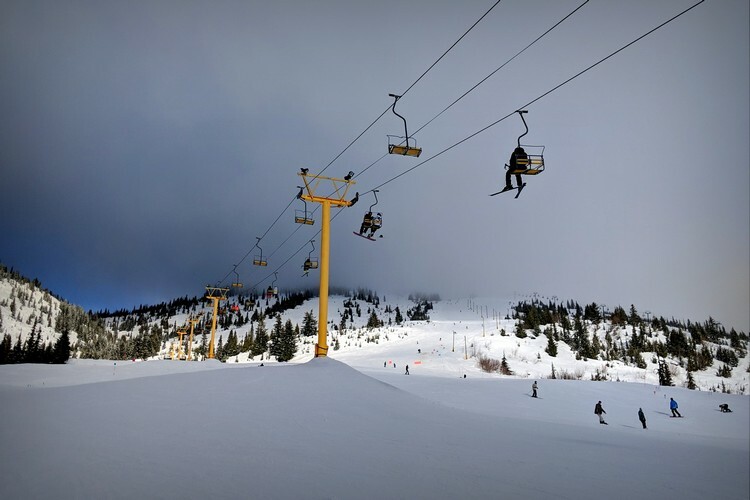 If you’ve got time, we recommend taking the gondola to the summit lodge. There are lots of hiking trails and viewpoints at the top of the gondola. You can also enjoy lunch at the lodge. The views from the outdoor patio are amazing. If you’re tight on time, skip the gondola and visit Shannon Falls instead. The falls are only a 5 minute walk from the parking lot, so you’ll only need about 30 minutes here. From Squamish, you can drive directly to Vancouver in less than an hour. 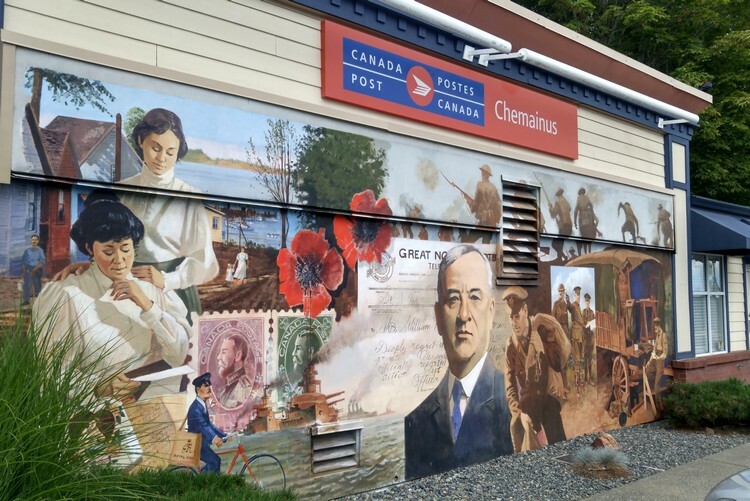 If you’d like to do a few more stops, consider the Britannia Mine Museum in the town of Britannia Beach or walk on the old pier at Porteau Cove Provincial Park. Both stops are located just off the highway. If the weather is nice, make sure you pull over at Tantalus lookout point to see the massive glacier on the Tantalus Range. The lookout is between Whistler and Squamish. Here’s the location. Brandywine Falls, located about 15 minutes south of Whistler. The impressive waterfalls at Shannon Falls Provincial Park. Mountian views from the top of the Sea to Sky Gondola in Squamish. 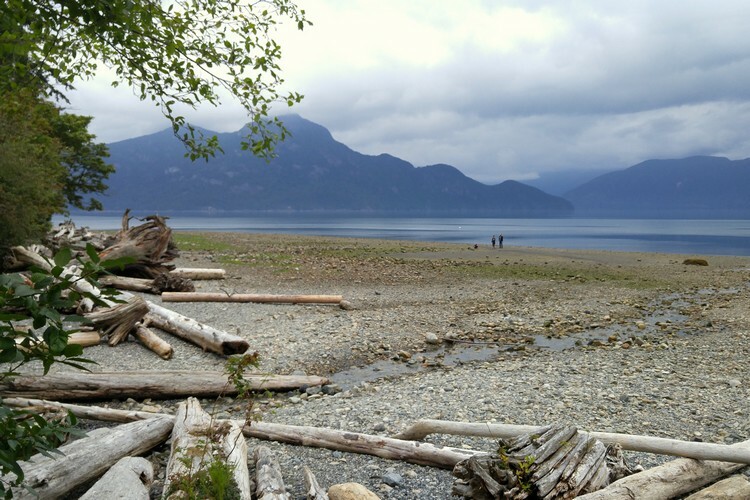 The beach at Porteau Cove Provincial Park. Pick up and return your vehicle rental at the Vancouver airport. Save up to 35% on car rentals here. If you visit during the winter, make sure you have snow tires for the drive to Whistler. 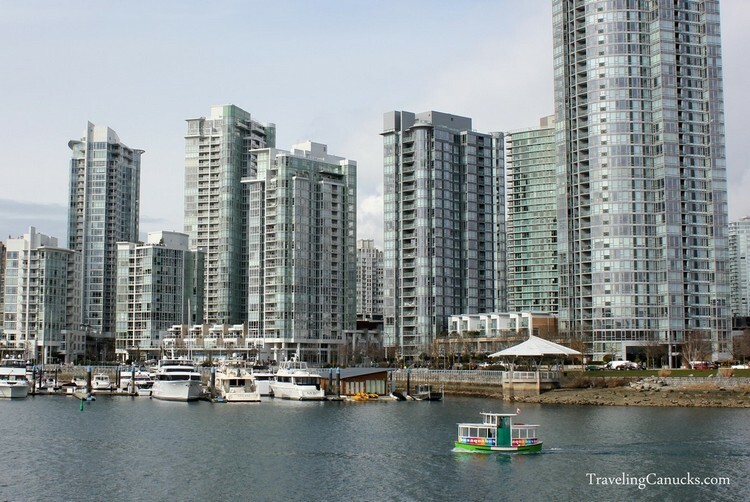 Search for Vancouver hotel accommodations here. Most of the popular attractions are located in the downtown area. 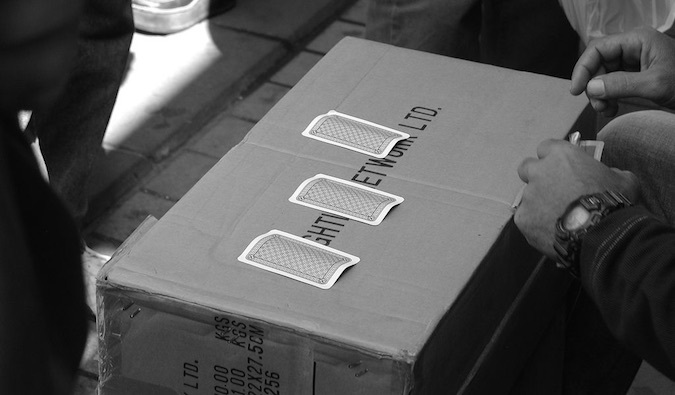 Note: you will need to pay extra for parking – sometimes as high as $40 per night. Vancouver is Wifi friendly with over 550 locations. Look for a Free Wifi location. If you’re traveling with a baby, check out our 13 Tips for Successful Baby Travel. It’s wise to book reservations for the ferry to and from Vancouver Island, especially if you’re visiting over a holiday weekend. Here’s the list of holidays in BC. Check ferry schedule here. To rent surfboards in Ucluelet/Tofino, check out Relic Surf Shop & Surf School. 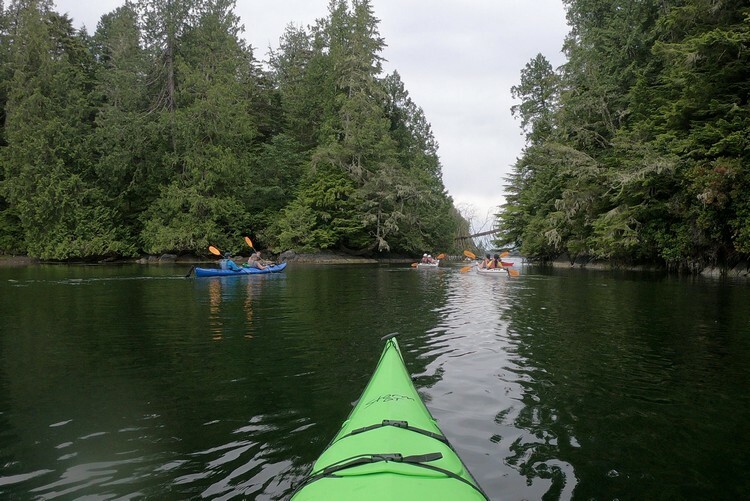 For sea kayaking or whale watching tours in Tofino, check out Jamie’s Whaling Station. 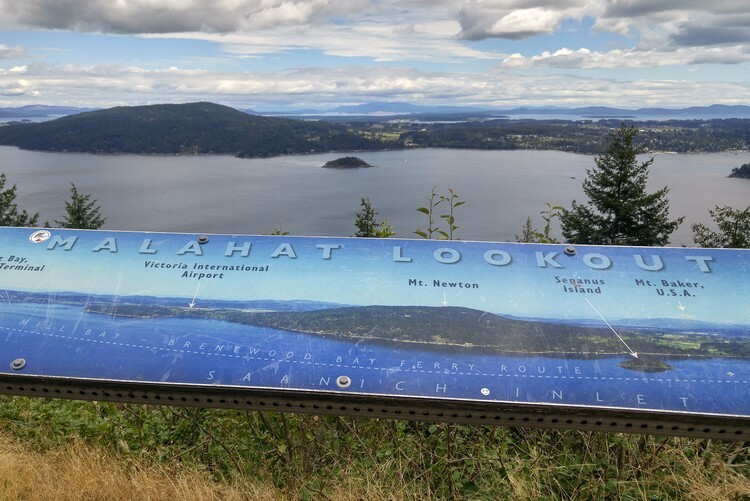 Have you taken a road trip from Vancouver? What did we miss? 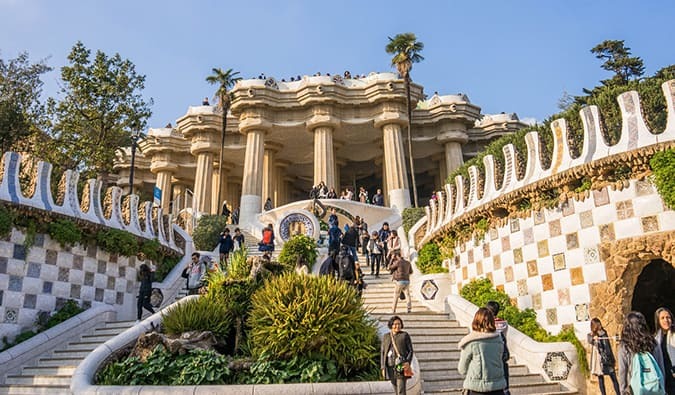 What would you add to this itinerary? Leave us a comment below. Our readers thank you!